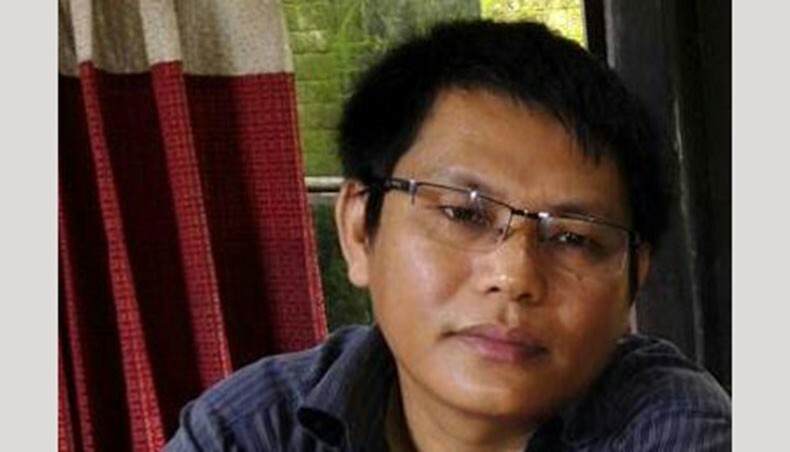 Mithun Chakma, an organizer of Chittagong Hill Tracts political group United People’s Democratic Front (UPDF), was shot dead by unknown assailants in Khagrachhari Sadar Upazila on Wednesday afternoon, Dhaka Tribunereported. Local sources said Mithun was returning home at Aparna Chowdhury Para area after making an appearance in a court case on Wednesday, when a group of armed assailants abducted him from Aparna Chowdhury Para around 12:30pm. They then took him to the Sluice Gate area, where they shot him in the head and the abdomen. Locals found the 38-year-old in a critical condition and rushed him to a hospital, where the doctors on duty pronounced him dead. There were six bullet wounds on his body, the doctors said. Khagrachhari Sadar police station OC Abdul Hannan confirmed the matter to Dhaka Tribune and said Mithun’s body had been handed over to his family after autopsy.